Minnesota’s cider industry is growing by leaps and bounds. Starting a cidery, however, can be a daunting task. Besides purchasing equipment and supplies, owners also have to navigate the myriad of legal issues in this heavily regulated industry. Without proper planning and advice, you may end up back at square one (or worse). Step #1: What Type of Cidery Do You Want to Be? One of the most important legal considerations, if not the most important legal consideration, for you to make in regards to your cidery business occurs during your business planning stage; namely, where are you going to be located – on a farm or in the city? Before any document is filed with a government office, you must determine if the desired name of your cidery is available. Nothing could be worse than paying additional fees to change a name that conflicts with an existing cidery, reprint letterhead and business cards, or dealing with a cease and desist demand from another cidery’s lawyer. The easiest and cheapest way to clear your proposed name is to Google the proposed name. Also check your state Secretary of State’s website for similarly named business entities or assumed names, and the United States Patent and Trademark Office’s trademark database for similar trademarks. These databases are limited in scope and for additional expense you can perform a comprehensive search that will more conclusively show whether you can proceed with your selected cidery name (and brands of products). The process of registering a trademark or service mark begins by filing an application with the USPTO. The USPTO employs attorneys who will review the application for proper legal and procedural grounds. In many cases, the examining attorney responds to the application with an “office action.” The attorney highlights any conflicts with the proposed mark, or any other objections to granting registration in the office action. The applicant has the opportunity to respond to any conflicts or problems noted in the office action within six months. After six months, if the applicant does not respond, the application is deemed “dead.” If the application either receives no objections for registration, or if the applicant overcomes any objections within the six month period, the USPTO publishes the mark for opposition. Any party, who may contest the registration of the mark, must do so within 30 days of the publication date. If no one contests the mark, then the USPTO will register the mark, typically 12 weeks following the publication date. Once you select a mark, the overall USPTO process from start to finish averages between 12 and 18 months. With new distilleries, wineries and breweries launching every day, the competition for product names is fierce. The Trademark Office treats all liquor names the same; i.e., if the proposed name of your cider is already registered for a beer, you should choose a different name and avoid the fight with the Trademark Office. Once you select the names and design logos, you need to file trademark for these as well (NOTE: if you have your product names selected at the time you apply for a Federal trademark for the cidery name you can submit the applications for the product names at the same time – up to 36 months before the launch of the product itself). As the old cliché goes, in real estate it’s all about “location, location, location”, and this is especially true for a cidery business. If you’re looking to be the neighborhood hangout complete with a cocktail room, you’ll need to find a suitable space close to home. Should you have larger ambitions, you may seek a more strategic location amenable to later expansion. Whatever the case may be, you’ll need to have a space secured in order to complete the licensing process. A new cidery owner will most likely lease a building at the start, and negotiating a suitable lease is a crucial step in the process. In some instances, it is possible to acquire your property from the outset. If so, it would be advisable to form a separate entity apart from the cidery business entity to serve as the holding company for the property, and then execute a lease between the two entities, with the monthly lease payment sufficient to cover the holding costs for the property (mortgage, taxes, insurance and maintenance expenses). This structure separates the liability associated with the cidery business from the real property. A written employment agreement is imperative for those employees who know a cidery’s product formulas could do the most damage to the business working for the competition. Hence, an employment agreement for these key employees should include a covenant not to compete and provisions that clearly state that the product formulas are “trade secrets” and thus the property of the cidery. Finding suitable financing for a startup venture such as a new cidery can be difficult. Perhaps that’s why many startup cidery operators are turning to private funding sources for their new venture. When private funds are sought, federal and state securities laws must be complied with. The definition of a “security” is very broad and not limited to shares of stock. It includes partnership and LLC interests, promissory notes and many other financing instruments. Securities must either be registered or exempt from the registration requirements of state and federal laws. Certain written disclosures and information must be made or made available to investors to they can have the appropriate information to make an investment decisions. Whenever possible, focus on “accredited investors”, which are essentially those persons who have a million dollar net worth excluding their house or persons with annual gross income of $200,000 if an individual, or $300,000 for a married couple, with an expectation that it will continue. The disclosure requirements are the least for these sophisticated investors. However, even if you have an exemption from registration, liability for any fraud by the issuer still remains. If you must cast a broader net for investors, consider an offering under the new “MNVest” statute which permits equity crowdfunding to individuals within Minnesota (subject to certain limitations). The consequences for not complying with federal and state securities laws are severe and can include administrative, civil and criminal penalties. Thus, before seeking private financing for your new cidery, be sure to consult with an attorney knowledgeable and qualified to handle securities matters. Perhaps the most important – and most time consuming – step along the path to owning and operating your own cidery is the process by which you obtain a wine license for the cidery from the Alcohol and Tobacco Trade and Tax Bureau (“TTB”). TTB collects Federal excise taxes on alcohol, tobacco, firearms, and ammunition and assures compliance with Federal tobacco permitting and alcohol permitting, labeling, and marketing requirements to protect consumers. If you intend to make cider for other than family or personal use, TTB must approve your operations, recipes, labels and the like. You have to apply for a license and TTB must approve your operations before you begin to make products. TTB may initiate an on-site inspection of the proposed premises and operations prior to the issuance of your license. Background checks on directors, officers and significant owners are also required. This process typically takes 3-4 months to complete. 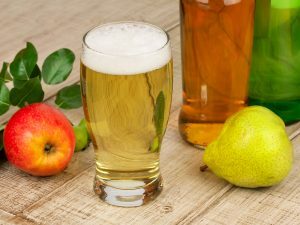 Besides TTB approval, a new cidery will need to apply for a state wholesaler’s license as well as any licenses required by the municipality in which the cidery will operate. Distribution is one of the most important, yet commonly overlooked components in the operation and success of a cidery. Cideries located on agricultural land have the option to distribute themselves. Self-distribution has the advantage of personal, hands-on selling that distributors cannot give to most. Self-distribution, however, is very time and resources intensive. In many cases it is advisable to start with self-distribution for the first few years to gain good product representation and placement, and then turn the distribution over to a wholesaler as sales and demand for their products increase. By contrast, non-farm cideries do not have the option to self-distribute. Normally, each market will contain two to three major distributors, who do business with virtually all restaurants, bars and liquor stores. They have excellent contacts within the retail trade, including important chain store buyers. The disadvantage for the manufacturer is that most distributors manage huge portfolios of products, and your products may be just a blip on the radar. The legal requirements for properly establishing a new cidery are numerous and complex and they can become a distraction from routine business operations if not handled properly. That’s why working with an attorney knowledgeable in these issues is essential as you can focus on developing delicious cider and catering to customers, versus dealing with what seem to be a never-ending array of legal issues. Based on experience, if you integrate your lawyers into your cidery team early, you will hopefully avoid monster issues down the road.